Helix’s chapter of the National Honor Society (NHS) inducted 105 new members for the 2018-19 school year. The students applied to become members, and using both Helix’s and NHS membership criteria, the students were selected for their academic success, as well as their excellence in leadership, service, and character. Part of NHS membership is community service and Helix’s chapter is no different. NHS members will sit with young children and read with them at the La Mesa Oktoberfest in the “Read with a Scottie” booth. Anyone with new or gently used books appropriate for young children is invited to drop their donations at the booth. They hope to send each child home with the book they read! Helix Homecoming 2018 is on Friday, Oct. 5. Come see Helix take on Valhalla. Kickoff is 7 p.m. Join the festivities! The Helix High School Foundation is pleased to announce the 2nd annual Wine Tasting FUNdraiser, held at Koi Zen Cellars (Rancho Bernardo). The event will take place on Sunday, Oct. 21, 12:30–4 p.m. Tickets are $42 and include five tastings, table snacks, five raffle tickets, and barbecue by Helix’s very own Brett McKinney. Tickets can be purchased at helixfoundation.com. Koi Zen will donate $6 from each ticket and 20 percent of all wine sales, which will be used for scholarships for Helix seniors. The Foundation granted more than $50,000 in scholarships to the class of 2018. The All-Class Picnic will be held on the Helix campus on Sunday, Oct. 14, 11 a.m.–3 p.m. Alumni are welcome to set up with their classmates, and participate in a contest for Best Class Tent. The event will feature performances by student and alumni groups, a car show, food, music and more! Planning has begun for the 50th reunion for the Helix class of 1969. The date will be July 27, 2019, and the reunion will be held at the La Mesa Community Center at the main building. More info to follow. Please contact Donna Hodges Cole at dcandthecaptain@hotmail.com or call 619-464-5269. The Helix Dance Department presents Dance Lab on Oct. 16 and 17 at 7 p.m. in the Helix Mainstage Theater. Tickets are $7 for presale or $10 at the door. Visit helixdancers.weebly.com for more information. The Helix Vocal Music Department presents the “Haunted Helix” concert on Oc.t 29 and 30 at 7 p.m. in the Helix Mainstage Theater. Tickets are $10 for adults and $5 for children. Presale tickets are offered at a discount of $8 for adults and $4 for children at ticketleap.com. The Highland Players present “Mr. 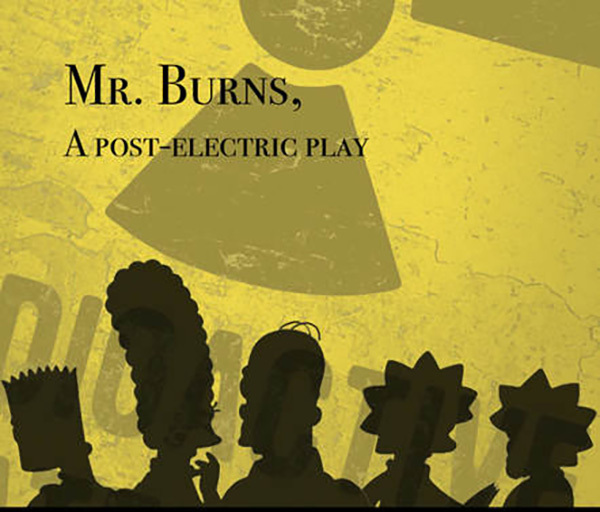 Burns, a Post-Electric Play” Nov. 7–10, 16 and 17. Performances begin at 7 p.m. in the Helix Blackbox Theater. Tickets are $10. Visit helixdrama.weebly.com for more information. If you are interested in finding out more about Helix Charter High School, please attend one of our Excellence in Education Tours, held twice monthly. The October tours are Oct. 4 at 5:30 p.m. and Oct. 19 at 8:10 a.m. Reserve your spot using our website, helixcharter.net. As always, we welcome your input. Please don’t hesitate to contact me at josborn@helixcharter.net.